North Ridgeville has been named as one of the Top 50 Safest Cities in the 2018 report published by The Home Security Advisor. North Ridgeville ranked #3 with the lowest crime rate in cities with a population of over 20,000. The Home Security Advisor rankings were calculated using the 2016 FBI Uniform Crime Report results. These figures were weighted in order to accurately indicate the seriousness of the criminal activity. Violent crimes were factored by .60 and property crimes by .40. The number would be then divided by the population in the community and normalized to reflect weighted criminal offenses per 100,000. 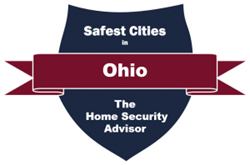 For the complete article, visit www.thehomesecurityadvisor.com/safest-cities-in-ohio/.